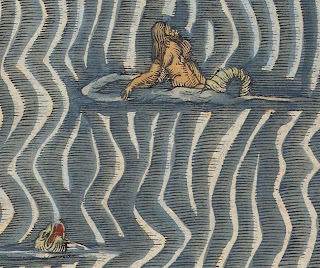 I have been reading about voyages and journeys across the pacific which lead me on to looking at maps and then on to ancient maps. Love the muted colours that they are now. Wonder whether they were really vibrant when first painted? 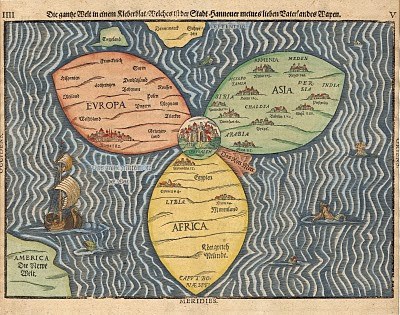 Thanks to google I found this wonderful map from 1581. 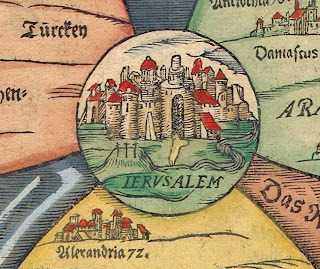 Many of the ancient maps feature Jerusalem. Here the holy city sits in the centre of the world. I am intrigued by visual detail - especially when you consider the fine line that would be hand etched and painted. 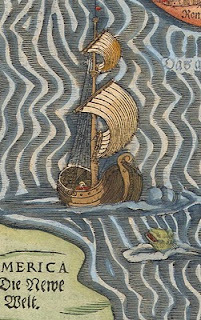 Here is a close up of the merman and fishes swimming in the sea - and the galleon too. 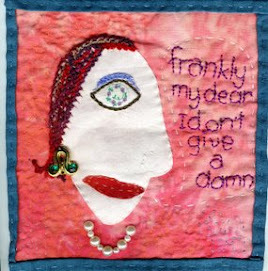 There will be more on maps - I will post some drawings and fibre samples as I keep researching.